This weekends classic is one of those that most people have some memories to. It came out in 2003 and came out with a bang! A fun thing is that the remix is called Paul Van Dyk Edit and the track is 10 mins and 31 seconds long. Usually, an edit is a shorter version of a song so wonder how long the Paul Van Dyk Remix is? 20 minutes? As I fall I cry..
00:54 when the main drums kick in. 02:03 when the main vocals start. 03:53 when the second verse start. 05:43 when the main music starts to fade in the chorus. 06:10 when the music starts to fade up slowly. Irish-born Christoper James Agnew and Robert Frederick Nelson started producing music in 1997 and was early on signed to Alex Gold’s label Xtravaganza Recordings in 1998. They had 2 previous hits on RGB Music, Angels Fly / Bolivian Angel and Angels. Agnelli & Nelson also had a few other projects like Afterburn, Cortez, Green Atlas, Quincey & Sonance over the years but this article focus on their work as Agnelli & Nelson and A&N Project. Their first release on Xtravaganza, El Niño (with singer Marcella Woods) became a huge hit and created a new era of dancemusic, especially in ibiza with its spanish lyrics. The track peaked at 21 in the UK Singles Chart. Their second release, Everyday (with singer Laura Campbell) came with a boom and made a big impact on the trance-scene, especially with the Lange remix. Everyday peaked at no 17 in the UK Singles chart. The followup-single, Embrace was an instrumental track and followed the same sound as the previous singles and eventually peaked at no 35 in the UK Singles chart. 2001 saw the release of Vegas, another epic instrumental track and peaked at no 49 in the UK Singles chart. The 2003-release, Holdning Onto Nothing (with singer Audrey Gallagher) became a huge success in the trance scene, especially the Paul Van Dyk Edit (which is over 10 minutes long). I just love that thomping bassline, the simple, but yet addictive drumline and those breaks. It’s one of those tracks that many Djs still play because of its quality. It peaked at no 41 in the UK Single chart. The first single, Wear That Dress was another vocal track. The lyrics isn’t the best but the track is pretty awesome, especially the John O’Callaghan-remix. Just When I Think There’s An Answer from 2008 was another banger with remixes by Ben Gold, Genix & Tom Colontonio just to name a few. The last release, Sleeping In Airports came with a banging Element One-remix. This was the last project Agnelli & Nelson worked together on. Robbie Nelson released some own material in 2009 and 2010 with the release of Aviator, Shangri-La on Solarstone’s new label, Crashing Waves. Up In Smoke from 2010 was released on John O’Callaghan’s label, Subculture. Their biggest remix-success came with John O’Callaghan featuring Audrey Gallagher – Big Sky and was the remix that most major DJ’s played. Big Sky was a major anthem for most clubgoers and I love how most people usually sing the chorus at the clubs. Major goosebump moment! 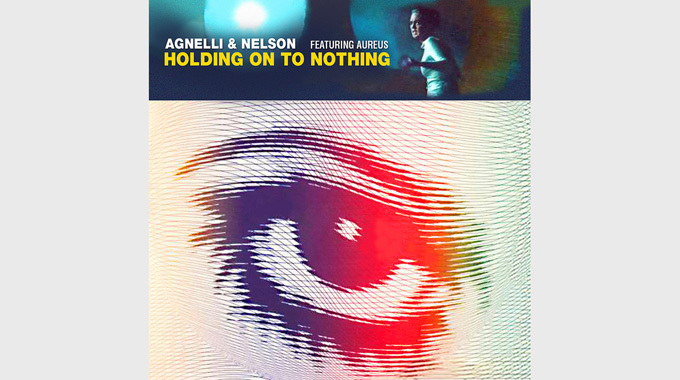 Agnelli & Nelson has done some really good tracks over the years and have alot of classic in their baggage that they can be proud of. They also succeeded in bringing some light on the Irish trancemusic-scene and made way for many big artists like John O’Callaghan. It seems like the days of the duo is over and Robbie Nelsons solo career just started and I hope that we will hear more material from Robbie in the future. One Response to " Classic FTW: Agnelli & Nelson feat. Audrey Gallagher – Holding Onto Nothing "